*Warning! This review contains images that are not recommended for young children as they display scenes of a gory and grotesque nature. You have been advised. Steel your nerves and prepare to dive deep into the psychosis of an unnamed, mentally disturbed artist, who returns home from a court hearing, only to realise that all is not what it seems. Discover the unnerving truth of what happened to him, his wife and their daughter and finish his Magnum Opus once and for all. Developed by Polish company Bloober Team, Layers of Fear went on Early access in 2015, which caught the attention of Publishers, Aspyr Media and seeing full release on PC, Mac/Linux, Xbox One and PS4 on February 16th, 2016. It has been their most successful game to date. Layers Of Fear received DLC in August 2016 titled ‘Inheritance’ which focuses on the daughter of the artist returning to the house to after a relapse and tries to overcome the trauma she had suffered in her family’s troubled past. Layers Of Fear: Legacy for Nintendo Switch brings both the original game with the DLC included in one package. Layers Of Fear: Legacy focuses on an unnamed artist who arrives at his Victorian home at the dead of night. As you wander around the house, you will find a number of notes and letters lying around. As you read them, you begin to learn a little about the artist and his not so ‘wellbeing.’ One particular letter is from the artist’s agent who tells you, quite unpleasantly, to get your act together as your recent works have taken a turn for the macabre. Most notably, your rather twisted take on The Brothers Grimm tale Little Red Riding Hood which, you are doing illustrations of for a children’s book. As you wander around the house, you will begin to see things start to take a peculiar turn. Rooms and corridors change behind you and are rarely the same twice. Objects like furniture, children’s toys, books and other things begin to float in the air or suddenly fly across the room. Paintings will transform in front of you into grotesque images. Apparitions will eventually start haunting you, further driving you down a downward spiral into insanity. People are often misled in thinking that indie games are normally, not well presented graphically when projected onto bigger screens. This is certainly not the case with Layers Of Fear. You are instead, welcomed with superbly rendered textures and lighting effects that you would expect from an AAA developer. The resolution and frame rate are spot on and there are hardly any frame rate drops if any at all. Even though you will not get any change of scenery except visiting different areas in the house, the visuals are still incredible nonetheless, especially when your surroundings transform before your very eyes. The Audio really nails the dark atmosphere the story and the events that unfold before you. From the ambient piano music, setting the tone that something is just not quite right and making you feel uneasy to the roaring screams that cause your character to black out just as he gets attacked. The best way to really immerse yourself in the experience, is by wearing headphones, blocking out any exterior noise and surrendering your senses completely. It really does make a difference by involving you further. As regards to gameplay, you could relate it to a 3D point and click game. You manoeuvre yourself from room to room in an impeded fashion. This is intentional as the protagonist has a pronounced limp. Which you will learn why as you venture on. As you look around your surroundings, you will find things to interact with like doors, drawers, lamps and other items. These are identified with a prompt when the central cursor is in proximity of the object in question. The ZR button is the action button that, you can simply press to pick up objects like letters and keys but you will need to hold the ZR button down and use the Joystick to open doors. If you are using the Joy-Cons separately, you have an extra feature available in that you can swing your arms in motion with opening the doors for a more realistic feel. To be honest, the story is the main engine that drives this game as opposed to gameplay, which in a horror/psychological thriller game, does make sense. There are a number of puzzles that you have to solve, usually because you have become locked inside the room you are in and now need to discover the significance of why you are there in the first place. It is easy to get lost at times and you may need to backtrack a bit before you can move forward, most likely because you have missed something important. Other than moving with the left Joystick and looking around with the right Joystick. The only button inputs you will use are ZR for actions, ZL for zooming in and B to cancel. Some items like can be picked up but they are used automatically when interacting with a locked door or chest. Other objects like photographs or drawings, will be sent straight to an album or hung on the wall in the artist’s study. You can find the study every time you finish one of the 6 main puzzles. You will find it behind a door, straight after finishing the puzzle that will give you an item to help finish your painting. A big issue that people may have with this game is that it is a one-off experience. Unless you are a glutton for punishment, you will unlikely play through Layers Of Fear: Legacy more than once. Gameplay time can last around 5-6 hours in the main game and a couple hours in the Inheritance campaign, which has its own unique scares and builds on the story from the daughter’s point of view. It is still more of the same though and unless you want to see the alternate endings, you will not likely play through it again. 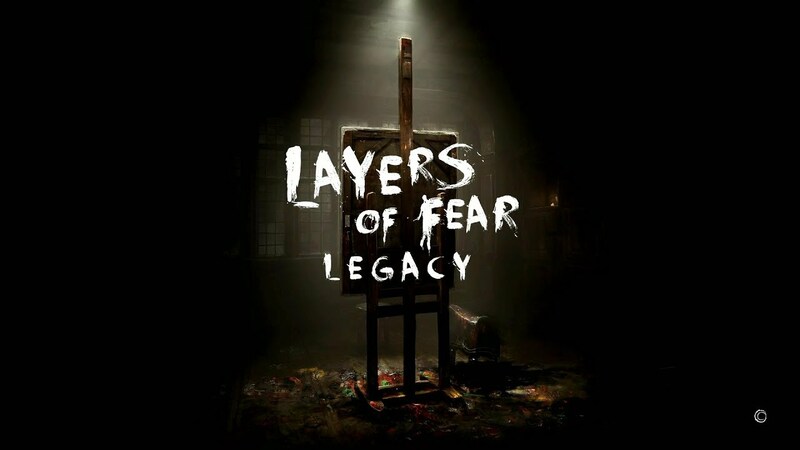 That said though, Layers Of Fear: Legacy still has a more compelling and interesting story than most horror films on the big screen these days and will most certainly, give you more of a fright than any horror film in the last 10 years ever will. There are plenty of jump scares to be had, even when you are expecting them, you will still find yourself jumping out of your skin. You just never know what is going to happen next and I found that the hairs on my arms and neck were constantly stood up, the whole time I played and even afterwards. There are instances of flashing lights that might not be recommended for those that suffer from epilepsy but the game does at least give warning before you play. The price may seem steep and with little gameplay to warrant replayability, Layers Of Fear: Legacy is a “One and done” kind of experience. That said, if you are looking for a unique experience and a solid horror game on the Nintendo Switch, you will certainly find it in Layers Of Fear: Legacy. I have watched many a horror film with my girlfriend, to the point that they hardly phase me anymore. Yet Layers Of Fear: Legacy breaks straight through my indifference and genuinely terrifies me in ways that no Horror movie has managed to in over a decade.